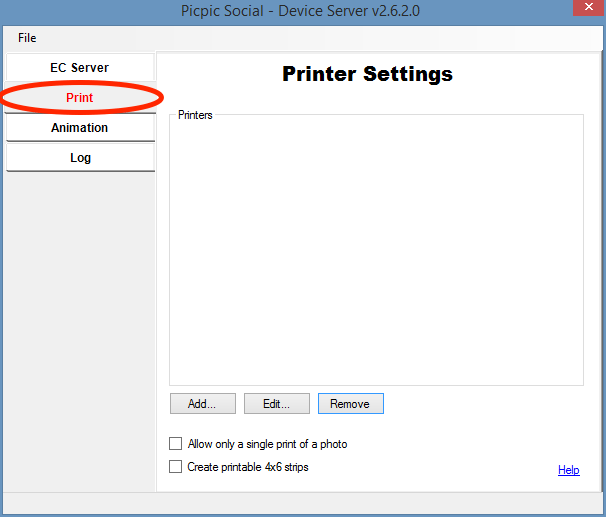 Learn how to properly configure a Printer with your Device Server and enable Printing as an event sharing option within PicPic Social. 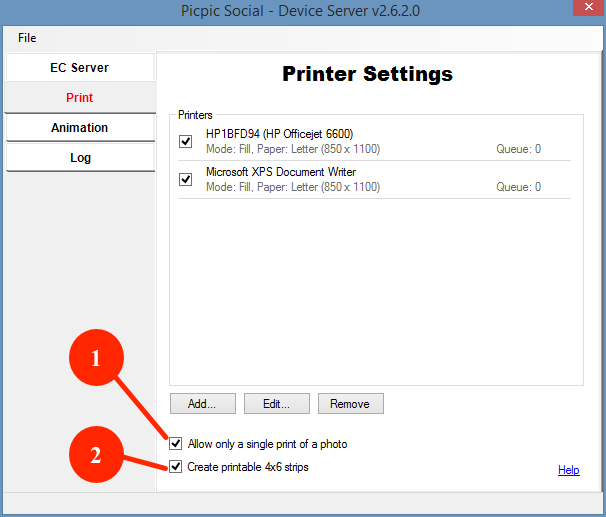 PicPic Social allows you to print photos from the Sharing Station. It also allows you the use of multiple printers simultaneously. 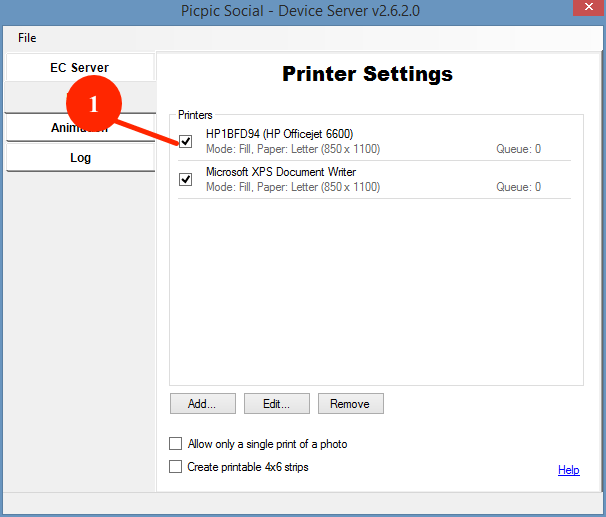 This guide will show you how to enable printing as a sharing option and properly configure a printer in your device server. Login to your PicPic Social dashboard here and create a new event or edit an existing event. 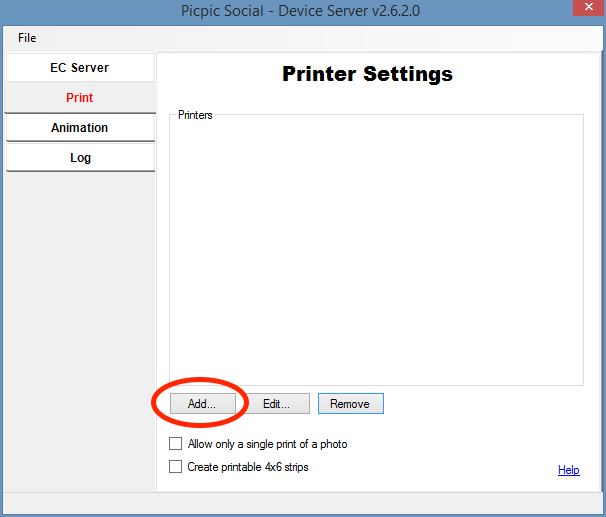 Make sure that you have printing enabled within your event settings like below. If not, the icon will not appear on your sharing station. 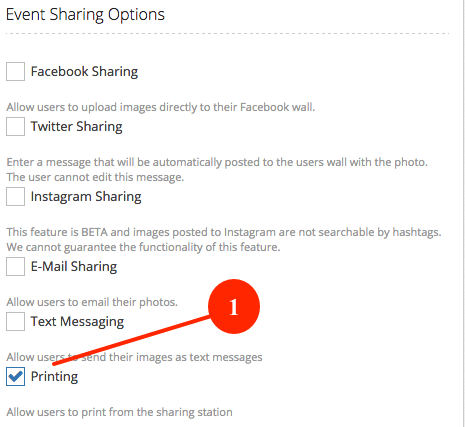 Click on the checkbox above to enable Printing as a sharing option. Once you've done this press Create Event or Update Event if you are editing an already made event's settings. You're done adjusting your event settings on the online dashboard. Now you are ready to adjust the device server software on your photo booth PC. 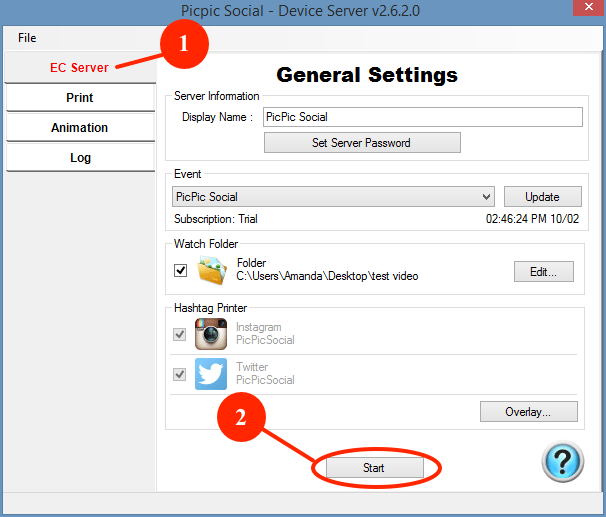 Please run the PicPic Social Device Server installed on your Photo Booth PC. Go to the Print tab highlighted in the photo above so you can adjust your Device Server's Print settings. The box below will appear so you can choose your printer. Click this drop down menu to choose your printer. Click this drop down menu to select your desired your paper size. Select the mode of the image. You can choose between Fit or Fill. We recommend that you test both to see which one works best for your event. 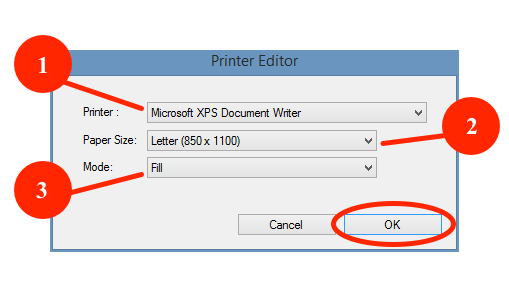 Click OK to save your printer settings. If you would like to add another printer, simply repeat Step C.
Select each printer you want to use by enabling the checkbox to the left of the printer like above. Select the printer you want to edit first by clicking on the name of the printer to highlight it. You can also click the REMOVE button while the printer is highlighted to delete a printer from your list. Issue: Why is my printer not listed under Printer but I can print using my Photo Booth Software? Solution: Even though software like Darkroom Booth is able to print using your printer, you need to install the drivers for your specific printer so that Windows & other software can use the printer. Please contact your printer manufacturer or retailer for assistance on how to install your printer drivers. 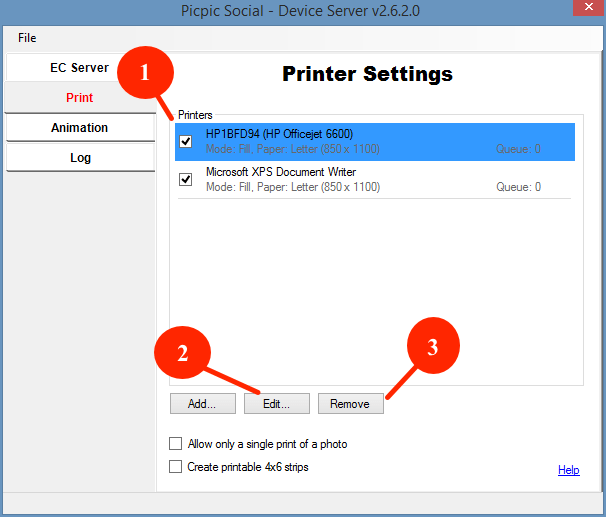 The #1 rule when it comes to printing with PicPic Social is that, if Windows can print than PicPic Social can print.